World First - Decorator diffusers with suspended 24 carat gold – Made in Australia. 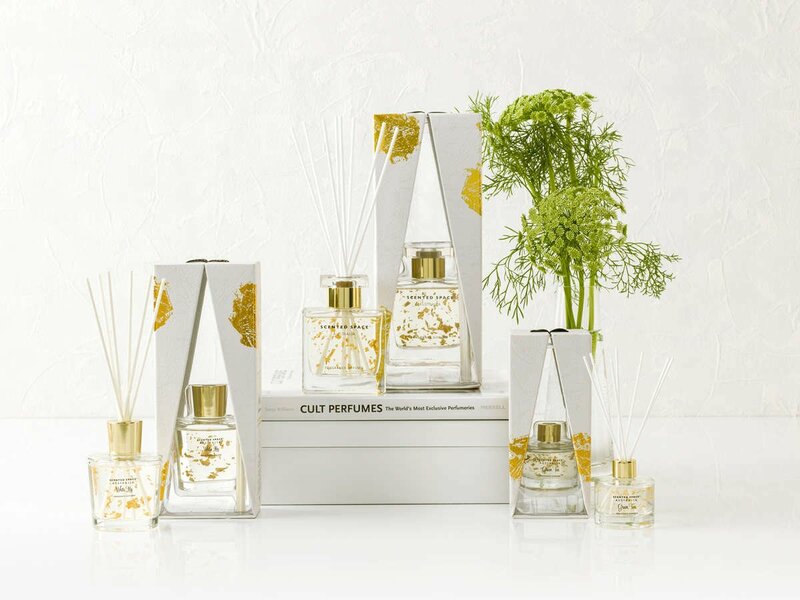 This unique, registered design diffuser, features suspended genuine 24 carat gold leaf and is available in three sizes, in two of our most popular home fragrances, Green Tea and White Lily. A companion soy candle available in both fragrances.